The 2 bugs from last week are fixed. I also made a start on the spell confirmation button, shown in the screenshot. 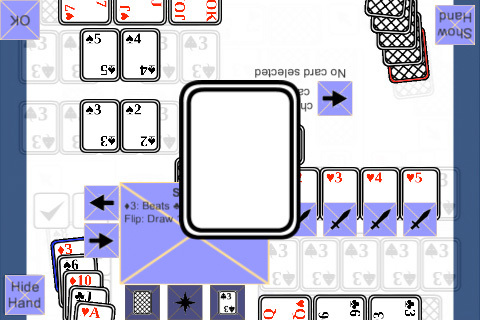 A larger version of the card appears and an ‘OK’ button appears for the opponent to confirm. What’s next: finish off the confirmation button by showing an image in the card and making the spell work on clicking “OK”. If I have time, do a similar thing for battling.